Known to rest of the world for its natural and cultural attractions, Nepal is gradually developing as a golfing destination. 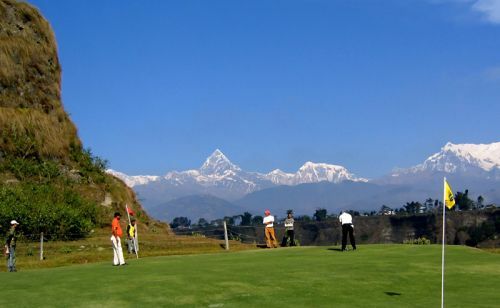 Golfing is emerging as a popular tourism activity in Nepal in recent years. Known as the pastime of aristocrats in the past, golfing is gradually developing as a sporting event in the country. Hundreds of youths are taking up golfing as a career and many golf tournaments are organized in different parts of the country on a regular basis. Golf is believed to have been introduced to Nepal by Rana rulers. According to historians, some Rana ministers brought along golf clubs and accessories when they returned home from Scotland nearly a century ago. They started playing golf in Gaucharan (or pastureland for cow) where the Tribhuvan International Airport is currently located. The golf course had to be shortened as the pastureland was developed into an international airport. The golf course, now owned by Royal Nepal Golf Club (RNGC), was developed into an international standard 9-hole course in 1986. 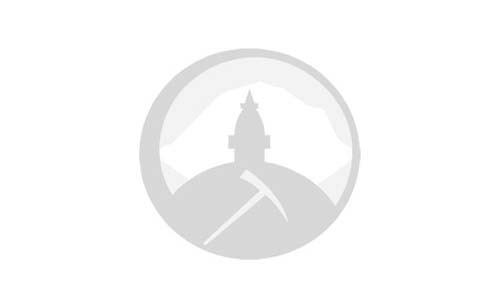 Nepal has seven golf courses, including a private golf course on the Chaudhary Industrial Village premises in Nawalparasi district, which making golfing in Nepal a memorable experience. 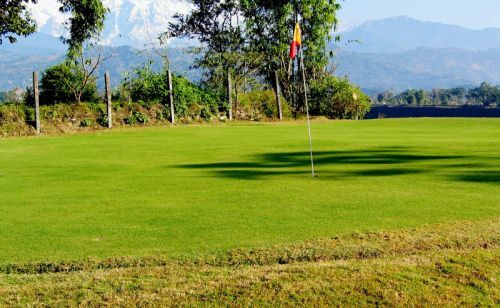 There are three golf courses in Kathmandu – RNGC Course, Gokarna Forest Golf Resort and Tribhuvan Army Officers’ Golf Course, two in Pokhara – Yeti’s Golf Course in Fulbari Resort & Spa and Himalayan Golf Course, and one in Dharan – Nirvana Country Club. 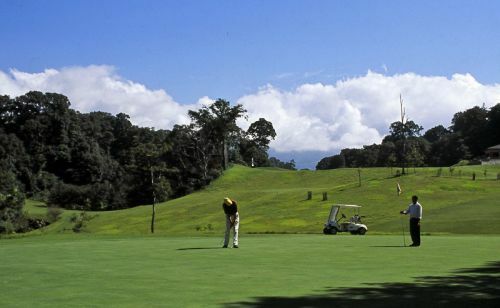 Lying close to the heart of Kathmandu City, Gokarna Forest Golf Course is one of the finest in South Asia. Set against the backdrop of the snow-capped Himalayas, the course is sprawled over 470 acres of land in the finely preserved Gokarna Forest. Designed by Gleneagles Golf Developments, the par 72 course boasts of the only Bent Grass Greens in South Asia, making it one of the highlights of the professional tour circuits in the region. As you golf, you can see deer and monkey wander freely, giving you an enchanting sanctuary experience. The 9-hole Yeti’s Golf Course is Nepal’s most iconic and unique course that challenges not only amateurs but even professionals. Overlooking the Seti River gorge, players not only have to navigate the usual water hazards and sand traps, but also the 300 ft gorges that intersect some holes. The area is tranquil and the views of the Himalayas to the north, and the Seti River far below offers you one of the best golfing experiences. 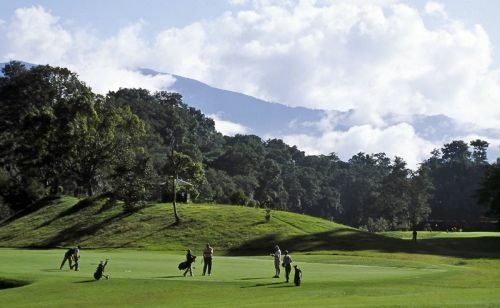 Golfing in Pokhara offers you the best golfing experience in the Himalayas. These golf courses have all the amenities in other golf courses in the world. If you are a pro, you can participate in golfing events that are organized on a regular basis. Novice needn’t worry, as these courses offer different crash courses. Golfing accessories are easily available in Kathmandu. Similarly, golf courses in Nepal have golfing equipment of high quality. Nepal-Tibet Trekking Pvt Ltd makes sure that you get the best golfing experiences in Nepal. We offer your custom-made packages based on your experience, visit time and budget.